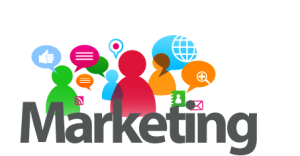 Many people ask, “What is an online marketing business?” There are many ways to market online, but what most people are talking about is called Affiliate Marketing. For those who want to earn money online, affiliate marketing is one of the best ways to get started with very low costs. Let’s see what it’s all about! Start Your Online Marketing Business Today! If you’re not familiar with affiliate marketing, it’s actually less complicated than you may think. It is the process of promoting a product or service on a website, referring them to retail sites where they can purchase it, and then earning a commission when the customer buys something. Have you ever purchased anything online from a retailer after clicking on a link on another site? If you have, an affiliate marketer made money from your purchase–at no extra cost to you! Did you purchase something other than the recommended product or buy other items as well? The affiliate marketer made a commission from those too. It is a very lucrative business model with many marketers making over $100,000 a year! When I first heard about affiliate marketing and started looking it up online, there was a lot of talk about scams. I couldn’t help but wonder if it really was a legitimate way to make money or some sort of fraud. But after doing extensive research, I realized that the business of affiliate marketing was a very real way to make money. Advertising is an expensive cost for companies. But by paying a commission to affiliate marketers to advertise their products, the company’s costs are lower, and they only pay when they get a sale. What I had to look out for was many of the scam sites that have been developed to lure people into get-rich-quick schemes. They tell you that they have a system that will do it all for you and you can just work an hour or so a day–but they don’t work! Anything worthwhile will take effort and time, and affiliate marketing is exactly the same. You can feel confident that this online business is worthwhile, profitable, and completely legitimate! As I’ve said, you can start an affiliate marketing business with very low costs. As far as equipment goes, you’ll need a desktop or laptop computer. While you can access the internet with a cell phone or tablet, the small size of these will make it difficult to do all the work you’ll be doing online. ~ A Website–You have to create a website. Sound complicated? It’s not! With today’s technology, you can literally create a WordPress website in 3 minutes. You don’t need to know any coding or technical knowledge, and there are thousands of free themes to give your site a unique, personal look. ~ A Niche–A niche is simply the main topic for your website. Many people have a hard time choosing a niche because it can literally be anything! But the best way to pick one is by looking at your hobbies, interests, and passions. For your first site, you’ll find it much more enjoyable and easier if you choose a niche that you’ll be excited to write about. 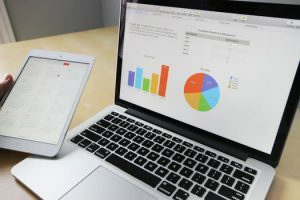 Here’s a guide that breaks down the steps to choosing your first website niche–What Is An Affiliate Marketing Niche And How Do I Choose One? ~ A Domain Name–A domain name costs about $14 a year, which you pay for and renew annually. The name you want to pick for your site should be easy to remember, not too long, easy to type, and relevant to your niche. The important thing to remember is to choose one that you’ll like and not stress over it too much. What brings visitors to your site will be the great information and content that you will post! ~ SSL Certificate–An SSL certificate encrypts your site making it unreadable for anyone trying to steal it. It’s important that you have this feature to protect your site and your visitors, and the search engines rank an unsecure site lower in their search results. Many hosting services offer it free with some of their plans or for a small fee. My #1 recommended program not only offers it for free with their paid membership, but also on their free websites offered in their starter program! ~ Affiliate Marketing Training–This is optional, but I strongly advise finding a training platform where you can learn and ask questions from successful affiliate marketers. I highly recommend checking out a program like Wealthy Affiliate, which is my #1 rated platform. It has a free starter membership, and you get to see all the features they have to offer along with 2 free websites–no credit card required! If you decide affiliate marketing is right for you, they have a premium service for just $49 a month. You can create up to 25 free websites and 25 of your own domains, get 1000’s of training modules, live chat, and an awesome community of fellow marketers that offer support and help. Wealthy Affiliate is where I learned how to make money online, and I now have 6 websites hosted with them. It took time and effort–this is not a get-rich-quick scheme, and they are honest that you’ll have to work hard to become successful! As you can see, the costs of starting an affiliate marketing online business are extremely small, especially when compared with other businesses that can cost hundreds, if not thousands, of dollars to start. How much time do you have to devote to your business? How experienced are you with doing research online? Have you done any writing before? How fast can you learn how to navigate the features of your website? Are you experienced with social media? Do you have anyone mentoring you or any training available to help you? It will take time to get your website ranked in the search engines, and each person brings their own knowledge and skill set to their business. Some marketers begin to make money in just a couple months, some take longer. The amount of money you can make depends upon YOU and the time and energy you are willing to spend making your business a success. There is literally no limit to how much you can make! Does affiliate marketing sound like it’s for you? If so, you can get started right away. Creating your first website will take just a couple minutes, and you’re on your way! So the next time you hear somebody ask, “What is an online marketing business?”, you can tell them about affiliate marketing and see if it’s right for them! If you need any help, have questions, or would like to share your experiences with starting your own online marketing business, feel free to leave comments below! I received your link through some one. See I am already an Affliate to SFI.com. Tell me what is that difference between yours and theirs? I think it is the same. I am retired person and I don’t have much of money, but I don’t mind investing a little which can give me some income. So suggest me honestly, what I have to do. I am not a very good computer savvy. Thank you so much for visiting my site, and I’m very glad you asked your question! I had not heard of the SFI Affiliate program, so I signed up and took a look at it. Their program is totally different than the one I recommend, Wealthy Affiliate. With Wealthy Affiliate you are able to create your own website based on an interest or niche that you choose. You will then write articles about your subject matter that will get ranked by the search engines, Google, Bing and Yahoo mainly. When visitors to your site read your articles, they can click on links that will take them to online retailers to look at the products you recommend. If someone buys something on that site, you will get a commission. That is affiliate marketing in a nutshell, but it appears to be different than what I saw with SFI. Here are a few links to articles on my site that explain it in more detail if you’d like to read them: Is Affiliate Marketing For Beginners?, How To Make Money Blogging About…Anything, What Is An Affiliate Marketing Niche and How Do I Choose One? One thing I can recommend to you is to sign up for Wealthy Affiliate’s free membership and see what they have to offer to compare. You’ll be able to create a website, get training, and have access to their community forum where experienced marketers are happy to help and answer questions. The best part is that you can stay on their free membership for as long as you want, keep working on your website, and even create a second one. You can sign up here if you’d like to check it out! Please feel free to ask more questions, I’ll be happy to answer them and help any way I can–good luck! I was impressed with this article concerning the writing of ebooks as a means of increasing traffic. This appears to be such a valuable tool for you to use. I love the idea of an invitation to opt-in to their newsletter and get a free ebook as a way to capture email addresses. When I first implemented my email marketing campaign, giving away free eBooks worked right away to start building a mailing list. I definitely encourage you to try it if you are interested! Thanks for the information, Janelle. Affiliate Marketing sounds like a good way to start an online business. I like the idea of marketing other people’s products and not having to stock inventory or anything like that. I was wondering, is it easy to break in with affiliate marketing? What’s the competition like? As a new affiliate marketer, will I be eaten alive by the big boys or will I be able to carve out a place for my own business? It is not hard to get into affiliate marketing, in fact creating your own website can take as little as 30 seconds with today’s technology! One of the biggest decisions to make is what niche you are going to focus your website on. If you find something that you are very interested in or passionate about and can communicate with people about it, you have the ability to be a successful affiliate marketer. With the right training and tools, like Wealthy Affiliate and Jaaxy Keyword Tool, anyone can carve out their own online business without worries about competition. It won’t happen in a day, but with commitment and consistent work, any beginner can be successful! 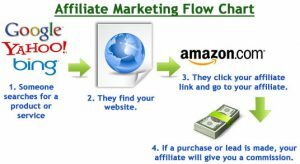 Great article to understand affiliate marketing, thanks for sharing it with us. Your post on The Best WordPress Plugins For A Blog is very helpful to choose right plugins. I am new in affiliate marketing and also thinking to make an affiliate website like coupons or cashback because I have some basic information about these affiliate marketing types and now I wanna make a website on one of them. One of my friend recommend me revglue’s revembed technology for this purpose as its a uk base registered company but i am little confused while using it because its a new website. Anyone has a experience with it. Please help me in this respect. Looking forward for you response thanks in advance. Hi Alex! I don’t have any experience with RevGlue myself, so I can’t give any specifics about their platform. But from what I’m able to see, their service basically helps you monetize your website by setting up affiliate network links, placing ads, etc. 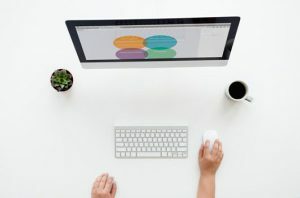 One thing you need to consider is that monetizing your site comes after you’ve created quality content and you’ve started getting traffic to your site, which is the hardest part. Finding good affiliate programs, placing ads, and setting up social media links are fairly easy things to learn and add to your site. Without good content and traffic flow, monetizing your site will not result in any profits. What I would recommend is comparing what RevGlue offers with a full training, hosting platform like Wealthy Affiliate to see what value and services you get with each program for the money. Once you compare any programs you’re interested in side by side, you can see which one will work for you and your online business. Thank you for the question and good luck! 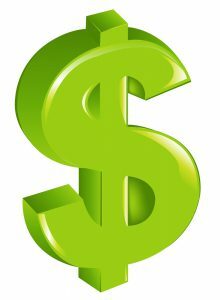 Hey i really enjoyed this article, i discovered wealthy affiliate and affiliate marekting about 5 months ago and im still going. I still have a lot of work to do if i ever want to make good income with my websites, it is hard to keep up with 2 sites right now but i keep trying. 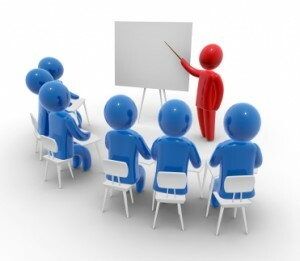 Anyone can do affiliate marketing if they have the right training! You are so right that anyone can do affiliate marketing if they have the right training!.Good luck with your sites–I know they’ll be a success by following the training from Wealthy Affiliate! I have my own Affiliate marketing website. But I just started. This article gave me a lot of information that I didn’t know. This also tells me exactly what I’m getting into to. I learned a lot of new things from this website. 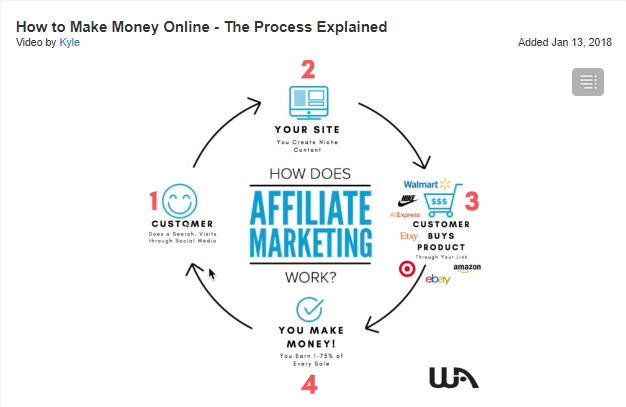 For instance, how affiliate marketing works and how it is delivered to people. I love this article. Thank you for this article. You are welcome, and I’m glad you found it helpful! I wish you success with your affiliate marketing business! I came across your post as a member of Wealthy Affiliate and I thought you have written an excellent post. It is not very often that I see anyone recommending an SSL certificate so early in the discussion and I thought it excellent that you did as it gives so much more credibility to a website. Thank you! Having an SSL certified website is so important now so that your visitors will have trust in your site. A lot of website hosting platforms make you pay extra, but Wealthy Affiliate takes security very seriously! I had heard a lot about affiliate marketing for some time before I actually looked into it. I kind of grasped the concept of making a percentage of money from placing an ad, but I didn’t have any knowledge of how to make it successful. Affiliate marketing had kind of sat in the back of my head for quite some time when I accidentally happened upon Wealthy Affiliate. I’m not one to jump into things too easily so I checked out the free membership first and did as much of the training as I could in that amount of time. Then after that the first month was only 20 bucks so I figured I could finish all of the training in that amount of time and if it didn’t seem legit I was only out $20. I’ve been with wealthy affiliate now for about eight months and have learned so much! It’s not an overnight get rich scheme or scam but it truly is a legitimate work from home business and I am enjoying it! I am so glad you’re having a great experience with Wealthy Affiliate and enjoying it! It really is truly amazing that you can learn so much and receive so much value for just a small monthly fee. Good luck with your affiliate marketing business, and I’d love to hear updates on how it’s going! Thanks for the great article. I started Wealthy Affiliate about a month ago and I would absolutely recommend it to anyone who asked about how to build an online business. The training is top notch and the community of support is wonderful and engaging! I did a lot of research beforehand about how to make money from home as I wanted to be able to spend more time with my family. In that time I saw and thankfully avoided a lot of scams. I’m so glad I was turned on to Wealthy Affiliate as it really seems to be the best thing going. Good luck and God bless! Thank you for sharing your experience with Wealthy Affiliate, and I’m glad you did a lot of research so you could avoid the scams–I wish you success with your online business! Real affiliate marketing is very lucrative and is a full time job for many people. I think where people get the misconception is from all the scams out there that claim to be affiliate marketing programs and promise you can make thousands with little to no effort. When people fall for these scams and lose money, they believe that affiliate marketing doesn’t work. However, with a legitimate program like Wealthy Affiliate and the right mindset that it will take time and effort, anyone can be successful! Hi Janelle! Very interesting article about affiliate marketing. You described it very well and I`m sure it will be very helpful for beginners. I also just start affiliate marketing and I can agree with you that it definitely works, but you need time, work and patience. Thanks for sharing with us and keep up the good work! Thank you, and good luck with your affiliate marketing business! I created my first website with Wealthy Affiliate one month ago, I upgraded to the Premium Membership after a week because the platform is amazing. I haven’t inserted any affiliate links on my site as I am still adding content. I I become interested after my friend showed me his earnings from the Amazon associate program and he advised me to Affiliate marketing with Wealthy Affiliate. So far so good, I am really impressed with the training, I am on level 2. I have no doubt that I am going to succeed, however, I have to pull my socks on driving traffic. I think this is the major task I will need to put more effort to see results. I’m so glad you’re having a positive experience with Wealthy Affiliate and seeing the value in their program! If you keep adding quality content and use good long-tail, low competition keywords, the traffic will come. Good luck, and I wish you success with your online business! What Is An Affiliate Marketing Strategy That Can Work For You?